MISSED BIRTHDAY! Clownalley.net is 3 years old! I completely missed our third birthday! 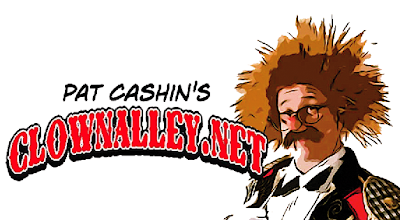 On 5/28/09 clownalley.net began it's fourth year! 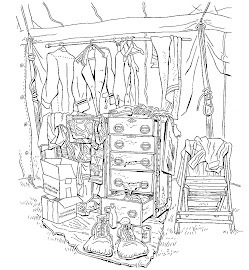 RUDI LLATA: Book Due in October! We are the 4th generation of clowns. I am sending you an email to let you know that a book comes out at the end of October on the life of the Rudi Llata. I'm looking forward to it, Oslo! Please keep us updated and let us know when and where we can order copies. This two week intensive workshop will focus on learning the basic tools of improvisation and character development needed to enhance your journey as a physical actor, clown or comedian. The instructors have extensive backgrounds as performers in the circus as well as on stage and in film. They currently clown in traditional and non-traditional venues around the world, and they are considered some of the best artists in the field. Two full weeks of clown immersion at the Flea Theatre. Seven terrific instructors and an unforgettable life experience. TUITION: $750 for Week One only, $1350 for Both Weeks. 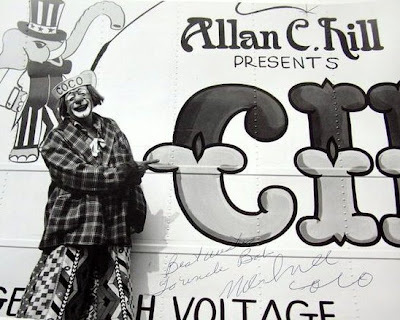 From the DeSanto Clown Archives comes some of the greatest European Clown Entrees, American Clown Gags, Vaudeville, Burlesque & Music Hall performers, Variety Acts, Ice Show comics, Rodeo Clowns, Film & Televisions Greatest Funnymen and the Modern Masters of the New Vaudeville Movement. If you've ever wanted to see Grock, Lou Jacobs, The Fratellini, Joe Jackson, Jr. & Sr., Otto Griebling, Charlie Rivel, George Carl, Gene Sheldon, Felix Adler, Buster Keaton, Chaz Chase, Freddie Trenkler, Max Patkin, Emmett Kelly, Toto Chabri, Tommy Cooper, Jimmy Savo, Oleg Popov, Paul Jung, Pio Nock, Wally Boag, Spike Jones, Don Saunders, Milo & Roger, Charlie Caroli, Red Skelton and Karendash among hundreds more, then this two day video master class is for you! July 20th & 21st at the NY Goofs School at the Flea Theater, 41 White Street, between Broadway & Church Street, three blocks south of Canal. Fee is $20.00 per day! Recession-Proof Comedy! Tickets can be purchased on our website on the Clown School page. Currently entering his third decade as a professional circus clown and variety performer, Greg DeSanto brings his unique talents and comic point of view to every facet of performance. 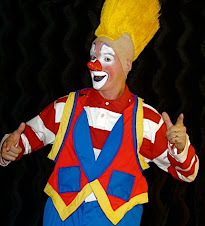 Greg graduated in 1985 from the acclaimed Ringling Bros. Barnum & Bailey Clown College. 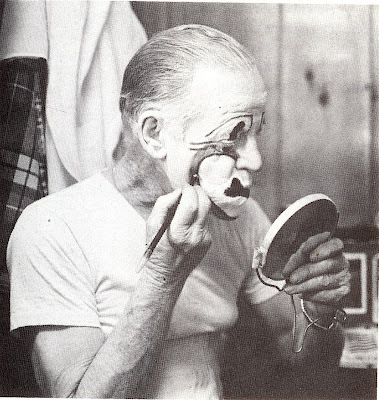 He was the featured producing clown and created, wrote and directed original clown material for the Blue, Red and Gold Units of the Ringling Circus for 10 years. 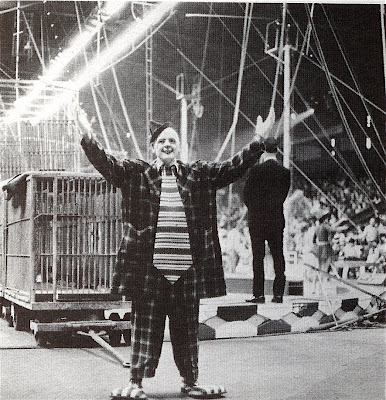 He then became the featured clown on the 1996-1997 and 2005-2006 tour of the Big Apple Circus. His work as a performer has been featured in such diverse locals as center ring of Madison Square Garden to the historic vaudeville stages of the Al Ringling Theater and the Sarasota Opera House to Cultural centers like the White House and Lincoln Center. 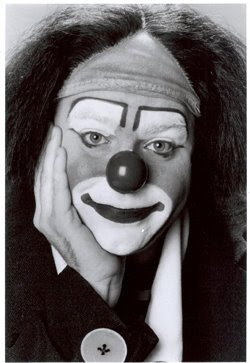 Greg joined fellow clowns Lou Jacobs, Bill Irwin and Steve Smith as the 1995 recipient of the FUNNY FACE Award from the National Clown Arts Council for his creative leadership in clowning. He was inducted into the 2001 EHS HALL OF FAME for his contributions to the arts and humanities. He and his wife and performing partner Karen were recently awarded the 2007 Paul Jung Award for best comedy duo. 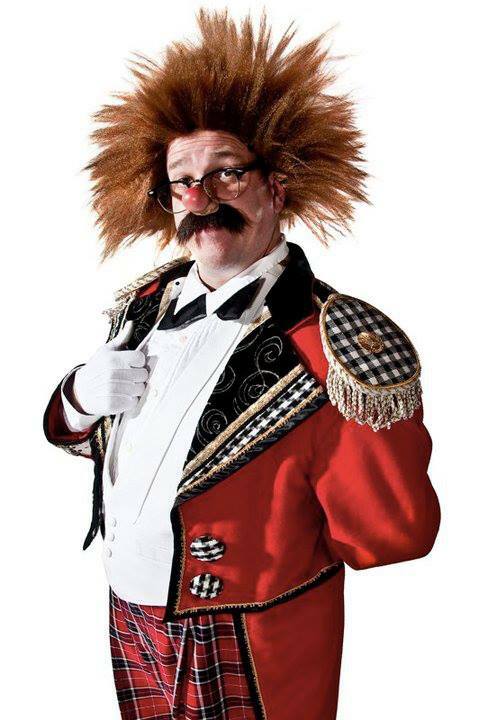 Greg has served as the Director of Clowning for Feld Entertainment, was a staff member of Clown College for 10 years, taught master classes in physical comedy for the Universities of Virginia and Wisconsin, serves on the Board of Directors for the International Clown Hall of Fame and Research Center and continues to perform in circus's, festivals and performance venues here and abroad. A few people have performed this routine over the span of the Big Apple Circus' history, but I don't think that anyone has ever done this routine better than Glen. Mr. Karp, would you be good enough to ID all your alleymates and fellow Clown College grads here who joined you in so shamelessly leering at the lovely Ms. Mary Gill? 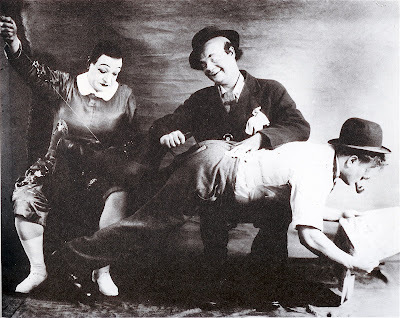 My French is, how you say... non-existent, so I would appreciate any help in confiming that this is a photo of Charlie Cairoli having his pants stitched up by his father Jean and his brother Philip. 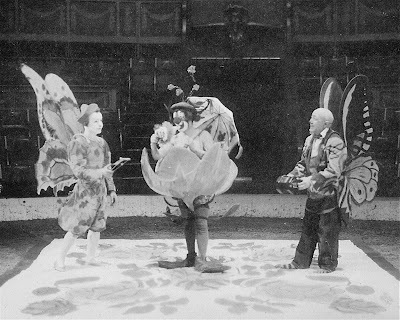 The Fratellinis in a staged photograph at the Cirque d'Hiver performing their "Flower of Love" entree. 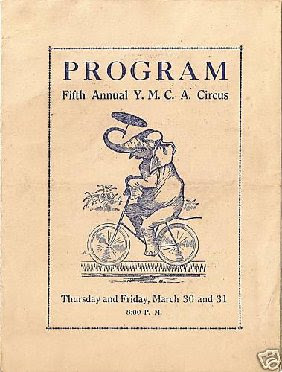 That's right, the audience at an amateur circus, put on by the YMCA March 30th and 31st 1911, were treated to 20 professional clowns as well as CHARLIE CHAPLIN and SLIVERS OAKLEY WORKING ON THE SAME BILL in between the gymnastics of the "circus camp" kids. Not only are they on the same bill, but Slivers is described as the "famous" one!!! 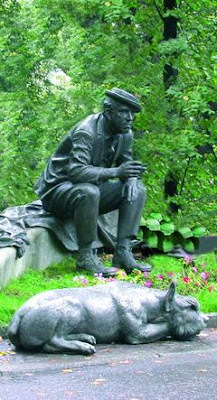 I'd like to begin a drive next year that would give us five years to raise the funds to commission a statue similar to the one at the gravesite of Yuri Nikulin. We could have it created and installed in time for the 100th anniversary of his passing. "Why, something like that would be impossible!!!" Circo Ridiculoso Lighter Than Air Clown Cabaret Circus Show. A compilation of clips of classic film comedians and trains set to the music of the Glen Miller Orchestra. Da sinistra Jones e Steve Caveagna, l'agente Alex Nicolodi, Artidoro, Nicole Feld e David Kaiser, talent scout di Ringling, al momento della firma del contratto. 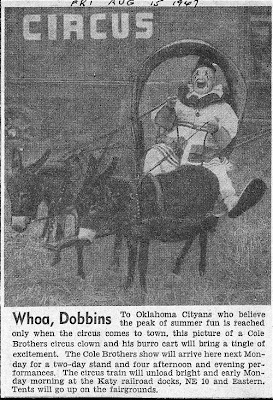 Let's try to remember a much happier time: A time when the profession was also in a period of great change but, unlike today, a time where seasoned veterans worked alongside talented newcomers on "America's Living National Treasure"TM and passed along important, time-honored elements of successful circus comedy as well as a deep-seated appreciation for craftsmanship in the art of clowning. For those of you who happen to be fans of J.S. 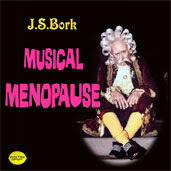 Bork (personally, his charisma escapes me entirely), you might be semi-nonchalant to learn his 1978 near-hit album MUSICAL MENOPAUSE will be Internationally re-released in download form EVERYWHERE starting Monday, June 22. Among other things, this is the album - you may recall - which features the Moron Tabernacle Closet Choir in "He Shouldn't Teach The World To Sing". Also included is the studio version of "Is That All There Is? ", "At The Home", "Liebestraum & Tubastraum", "Golden Years", "Chopin's Mayonnaise", "The Bork Shuffle", "Mother Trucker" (a Chuck Barris de-composition), and two new tracks of Herr Bork's never heard until now: "Mystic Bork" and "The Hay Fever Two-Step", which comes with two Kleenex tissues and a bottle of sinus decongestant. All-in-all, quite a listening experience, with the definitive Bork sound provided by his Kreeblemyer Stompers. It's an Electric Lemon Download Production, and you just might want to download it. Or not. For those unfamiliar with the work of Herr Bork I strongly encourage you to visit iTunes immediately and download both available albums. Word comes this morning that Trio Caveagna has been signed to join the Ringling Bros. and Barnum & Bailey Gold Unit in 2010. I'm going to take my car to get washed today. I was going to do it yesterday, but then I didn't. 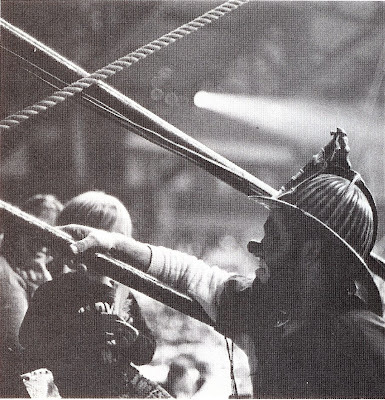 Our old pal Mike Coco walking stilts on Allan C. Hill's Great American Circus in the early 1980s. THE SINGLE GREATEST PIECE OF NEWS IN HISTORY! AND ARE RETURNING TO THE NEW VIC!!! I have just been informed that the Flaming Idiots are back from the dead and Pyro, Gyro and Walter are returning to Broadway and the New Victory Theater this Christmas season! The Flaming Idiots were a comedy juggling troupe of three performers: Jon O'Connor, Rob Williams and Kevin Hunt. Their stage names were Pyro, Gyro, and Walter. They began their act as a busking routine in the early 1980s in Dallas and they performed their last show at the New Victory Theater on Broadway in New York City in 2004. 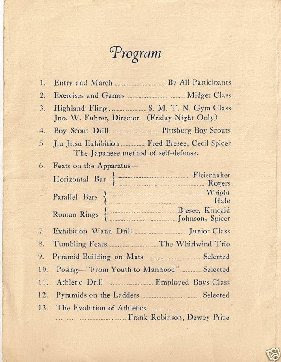 The Flaming Idiots created and produced their show as well as performing it. 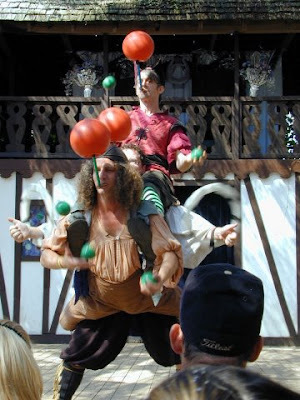 They gained early popularity by street performing and developing an act that traveled the Renaissance Faire circuit. Beginning in 2000 and ending in 2004, they performed the show at Zachary Scott Theater in Austin, Texas, replacing the renaissance-related theme of their show with a vaudeville theme. They used the vaudeville theme in their traveling show on Broadway as well. 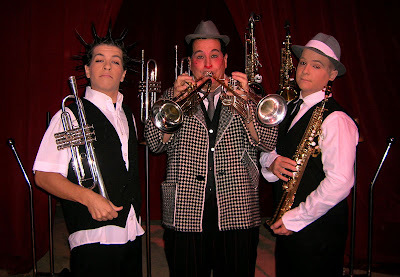 The Flaming Idiots performed on Comic Strip Live, Sunday Comics, The Today Show, The Tonight Show and others, but Hunt says, "We always preferred to perform onstage with a live audience." Rob Williams introduced himself as "Gyro" and often acted as emcee of the troupe as well as a performer. 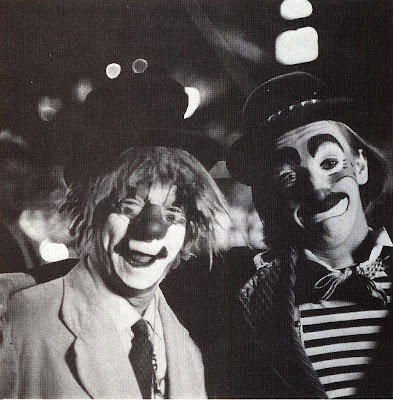 Kevin Hunt's stage character of "Walter" was taciturn and deadpan, while O'Connor's character of "Pyro" was a zany and unhinged character. They performed a wide variety of tricks, but their act was based primarily on juggling and object manipulation and was heavily accented with comedy. 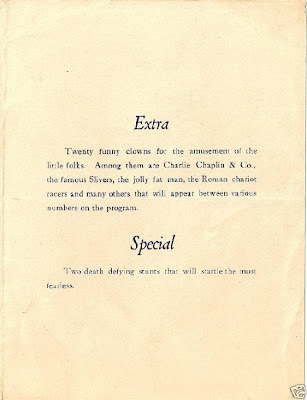 Signature routines included the three men juggling five beanbag chairs, Williams' whip-cracking tricks, a sword-swallowing act from Hunt that was modified using a four-foot long animal balloon, a triple escape from intertwined straitjackets, and a three-man acrobatic trick they called Chicken Fight. They also juggled flaming torches and knives and were expert at pin passing. They used some audience participation in shows. Williams performed a routine involving making a bologna sandwich, entirely with his feet and handing it to an audience member to eat, which he performed on The Tonight Show, and for which he is in The Guinness Book of World Records. The act routinely received high critical praise from arts critics in numerous newspapers. They claim to have performed in five countries: "The United States, Canada, Mexico, England, and Texas." The troupe published a DVD titled "The Flaming Idiots: Their Very, Very, Very, Very Last Show Ever!" The DVD was distributed through Madam Mogul Productions and is out of print. Since the act disbanded, Rob Williams (www.robsho.com) has continued to perform worldwide as a solo variety artist, television writer, stand up comic, and has made theatrical forays, including the role of the elf in David Sedaris' The Santaland Diaries, performed in 2004 at Zachary Scott theater in Austin, Texas. The Flaming Idiots are currently performing a reunion tour. Their first stop was The Moisture Festival in Seattle, next will be the Edmonton Street Performers Festival, then it's back to Broadway at The New Victory, and finishing with a run in Austin, TX at Zach Scott. ATTENTION ALL VARIETY ARTISTS: I know that you love Billy Joel's "Root Beer Rag" but please, for the good of all mankind, take that song (and any and all Big Bad Voodoo Daddy songs) out of your show immediately and forever. Thank you. I'm very excited to learn today that Sweden's Cirkus Cirkor will be coming to the New York area this November for four days at the Brooklyn Academy of Music's (BAM's) John Gilman Opera House, which is a great venue for a show of this kind. Big Apple will be in Lincoln Center; Cirque du Soleil's Wintuk will be at the Theater at Madison Square Garden. Any word on which circus company will be at the New Victory Theater this holiday season? Anyone know of any other clown or circus shows planned for the tri-state area around the end of this year? 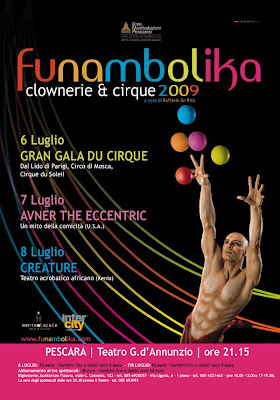 For more information on Circus Cirkor, please click the title of this post. Borrah Minevitch and his Harmonica Rascals featuring Johnny Puleo. Steven Ragatz's Rene Magritte-themed juggling act. A trailer for current Red Unit Ringling clown Lance Brown's upcoming documentary film.